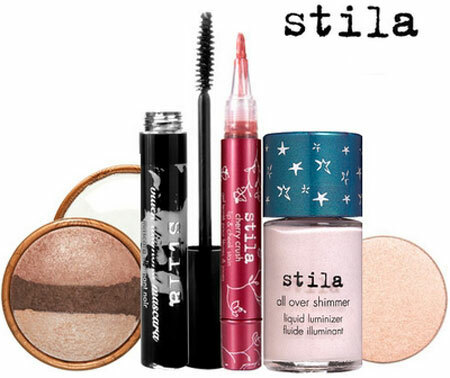 Stila Cosmetics was founded in 1994 by celebrity makeup artist Jeanine Lobell. The name Stila (pronounced STEE-la) was derived from the Italian word “stilare,” which can mean “to pen”. Stila’s official website is quoted as saying that they chose that name because they believe every woman’s makeup should be as individual as her own signature. Estée Lauder Companies bought Stila in 1999 and sold it to Sun Capital Partners, Inc in the spring of 2006. As a result of the new ownership, the brand had become a standard at Sephora and is also sold on its Web site, but it has been pulled from most of its brick-and-mortar retail outlets, including Nordstrom. Upon its sale to Sun Capital Partners, Inc the three dedicated boutiques were closed (the locations seem to belong to Estee Lauder as they were replaced with boutiques for other Estee Lauder brands. Stila’s line consists of a lot of soft, pearly colors with shimmer, although the line does also have matte shades. They also have many multi-tasking products such as Convertible Color and One Step Makeup. Stila Eye Shadow and Cheek Color are available in “pan form” where the pots or palettes need to be purchased separately. They are available in single form, 4-pan, 6-pan, and 8-pan palettes. In the past, cardboard 3-pan palettes were available, as was a 9-pan in the form of a watercolor paint tin. Convertible Color compacts are a creamy multi-use blush/lipcolor. In the early days, Stila lipsticks were packaged in black cardboard tubes. People compared them to tampon applicators. Lipstick packaging has since been re-designed.